Thank you for taking the time to visit the school's online Course Prospectus. As the Institute moves into its next half-century of education, our mission remains the same - to provide unparalleled instruction and training to those interested in working within the field of antiques, collectibles and the decorative arts. By viewing our Course Prospectus, you are taking that first step towards a new world of fascinating and profitable experiences that can not only be challenging and rewarding, but that can also offer one a great sense of personal and financial satisfaction. Today’s business world actually offers many opportunities undreamed of a generation ago. Not only well-paid jobs with long-established firms, but also interesting professions away from the normal business routine. That is why I am so certain that the decorative arts field can open the doors of opportunity to you, whatever your age and background. Simply put, you can prepare yourself for this wonderful and profitable profession right from the comfort of your own home. Everyone knows that a home furnished in authentic antiques, timeless mid-century modern pieces, or even well-crafted vintage items, can be an investment that will grow in value over the years. Therefore, you are not only offering something of true value to yourself, but to others as well. In today’s world of specialization, educational programs are becoming more and more specific, requiring individual expertise in almost every field of endeavor. At the AIA we believe everyone should be given the opportunity to specialize and excel in today’s business community, regardless of age or previous academic accomplishments. ​With these ideals in mind, the AIA was created in 1966, offering a complete and comprehensive home-study program to individuals interested in antiques, collectibles, estate sale services, and professional-level appraising. Today, the AIA is the largest distance-learning institution of its kind, with tens-of-thousands of students and graduates working throughout the world. As someone who has spent their entire life growing up in and around antiques and the decorative arts - from early museum apprenticeships, to antiquity digs in the Egyptian desert - I can honestly attest to the value of this wonderful program. But don't just take my word for it, let me invite you to read through this online Prospectus carefully, and see how a few months of training can help get you the life you want. HOW CAN I SECURE A THOROUGH AND COMPREHENSIVE TRAINING IN ANTIQUES, VINTAGE, APPRAISING AND RELATED FIELDS DURING MY LEISURE HOURS? The hard truth is that those in the profession are usually too busy to teach beginners who know nothing about it - they prefer men and women with some previous training or experience. The field of antiques, appraising, and the decorative arts in general, is scarcely a business which takes in apprentices. Today, it is a highly regarded profession and vocation that requires thorough theoretical training if you are to be successful - either as a dealer, appraiser, or estate sale liquidator. In creating the school's decorative arts e-Course and Textbook Study Plans, the thought foremost in our writers minds was to make it simple and clear. Our aim was to follow resident school methods as closely as possible. Every Plan was carefully constructed and written so as to lead the student — even one with no previous training in this field — step-by-step, to a thorough and practical, as well as theoretical understanding of the decorative arts in their various branches (including; antiques, vintage, collectibles, appraising, and estate sale liquidation services). ​The authors of the AIA Plans are outstanding in their field and are highly respected within their professional community. The members of our teaching staff too, are well qualified for their work, and the officers and executives of the school are internationally recognized not only by reputation, but also by their collaborative efforts and work within the decorative arts community as a whole. As a student, we want you to keep in close touch with these industry experts. You may feel free to write your instructor or school officer at any time with comments, questions or any concerns which you might have regarding your studies. We want each student to build a strong personal relationship with their instructor and to consider them a friend and guide - one who is always eager to go that extra distance to make sure the student succeeds. Your enrollment as a student within the Asheford Institute entitles you to every consideration that is possible for us to give you. So, take advantage of this, and our offer, by enrolling now, and see how our professional-training can help you succeed in this wonderful field of endeavor. 1. Special assistance, attention, and instruction, aimed to fit your specific requirements, are gladly given as your Examination Papers are graded and corrected. 2. The Education of every student is under the guidance and supervision of a qualified instructor. 3. Your training will provide you with a comprehensive and detailed knowledge of antiques, vintage items, collectibles and appraising. 4. You may take as much time for each assignment as needed. You are not rushed, nor held back, by other students. 5. The Study Plans are illustrated with hundreds of pictures, diagrams, and sketches, which make the instruction simple and clear. The e-Course version also comes loaded with additional videos, multimedia engagement, interactive web displays, resource links, plus a host of other instructional features made possible by the online format. Regardless of which Course version you choose, your topics and subject matters will be easily understood and grasped by even the most novice of students. 6. While you might acquire a sound knowledge of the decorative arts and appraising through years of research and study and perhaps by going from job to job, all this would take time. Our Plans, will give you, within a comparatively short while, a comprehensive and thorough knowledge of this fascinating and profitable field that you might not otherwise secure during many years of undirected study. 7. If you are employed, you may study our lessons in your spare time, without giving up your present job. When you need special assistance or advice, help is no further away from you than your phone or keypad. 8. The AlA puts before you the entire Plans in permanent form for future reference - e-Course or hard-copy - you lose nothing. What cannot be studied and learned today, can be studied and learned tomorrow. When you have completed your Course, you can review your Study Plans as often as you desire. Also, you will always have on hand a veritable reference library, one which should be very valuable to you in years to come. Certainly you will refer to it frequently whether you make a career of antiques and appraising, or simply employ the knowledge you have gained for your own personal pleasure (*Note: students enrolled in the e-Course may also print off their online study pages to create an additional hard-copy version should they so wish). 9. Our Profit and Pleasure Plans give you sound training based upon recognized sources while using the most modern teaching methods and practices available today. Including, online direct-submit exams, embedded how-to videos, pop-up photos, integrated Instructor lectures, plus much, much more. 11. Through the Research Service, both as a student and a graduate you will have the privilege of consulting the Institute at any time. 12. Our Study Plans are so arranged that even before you finish the Course you should be able to buy and sell antiques, vintage items, and collectibles successfully. In this way you will gain experience and self confidence, not to mention, seeing some great first profits. 13. The tuition fee for our home-study training program is very modest, especially in view of the excellent quality of instruction each student receives. Combine this with the fact that the Course materials are constantly being revised and updated regularly, and you’ll see why the AIA is a recognized world leader in distance-learning education. 14. Our commitment is one of excellence – to you and the services you’ll receive. 1. A Proven Track Record: The AIA has helped put tens-of-thousands of students into their own profitable antique, vintage and appraising businesses, as well as helping established antique businesses find new and trained individuals for employment. Whichever direction you choose - Think of what AIA training can do for you! 2. Experience Counts: The AIA has been training individuals about the world of the decorative arts since 1966. In fact, we are the only internationally recognized and accredited antiques & appraising distance-learning school in the world today. So we know what works! 3. Satisfied Students: Over the past 50 years, tens-of-thousands of people worldwide have taken the AIA Course. We have one of the highest success rates for any distance-learning school in operation today - and our student testimonials prove it. As an AIA student we guarantee, you will learn! 5. Instructional Assistance: Each student has their own personal qualified instructor at the school who grades, examines and comments on a students progress, every step of the way. You're not just a number here... We want you to succeed. 6. Quality: The Institutes' commitment is to provide students with the highest degree of academic services and features available in an educational platform. Students receive top instruction and developmental commentary from leaders in the industry - our services and offerings are of the highest quality - from beginning to end. This is our promise to you. Order your AIA Plan One (Textbooks or e-Course), with the understanding that you can examine it in your own home for 5 days after it has been delivered. If for any reason you do not wish to keep the Plan, simply return it to us with your reason, and we will refund your remittance in full - no questions, no hassles, !00% ironclad money-back guarantee (please include dated return shipping receipt to validate guarantee). You will be pleased to know that our entire distance learning program has been prepared and arranged by experienced antique and vintage experts, editors, teachers, and content writers of outstanding ability. The Text Books and e-Course both number over eighteen-hundred pages alone (Note: the school's e-Course also comes with embedded Course videos, interactive multimedia displays, online instructional forums, dedicated links to related sites, online exams, pop-up photos, plus much, much, more). Naturally our competent authorities and home-study executives have constructed these Study Plans free from all red tape and entanglements. Plans so simple and clear, that in a relatively short period of time a great deal of knowledge can be gained by the student, without any previous experience or training in the decorative arts field. Antiques and vintage items, along with collectibles, mid-century-modern pieces, estate sale liquidations, and professional-level appraisal practices have all been included within the school's comprehensive curriculum. In creating the Institute's educational platform, two goals were continually kept in mind; first, to make every Study Plan easy to understand. Second, to plan each step in such logical order that nothing would be complicated or difficult to comprehend. Again, we would like to stress that it is our confirmed opinion and honest belief that the Institute has raised the level of home-study instruction in the field of the decorative arts and appraising to an unsurpassed level of efficiency. Our method teaches by systematically and progressively revealing knowledge, through visualization, constructive commentary, and by actually listening to the voices of your instructors. We feel you will also be impressed with the wise, patient and close guidance you will receive from your instructor, plus the individual help they are always so willing to give upon request. However, not until after you enroll and start the study of your lesson assignments, will you be able to truly appreciate the thorough sound AIA teaching methods, and come to understand why definite progress should be visible right from the very beginning of your training. Simply put, the AIA can open up the doors of success for you, regardless of your age, education or previous background. There are no formal requirements for application of acceptance into the Institute, however, those enrolling under the age of sixteen must have the written consent of their parents or guardians beforehand (*Note: In rare cases, the Institute may reserve the right to potentially revoke an enrollment should the instructor feel the student's work does not show the necessary aptitude for such training). 1. Good quality antiques & vintage items are usually always in demand. 2. The decorative arts field provides equal opportunities for all. 3. Full or Part-time career: Antiques & Vintage Store, Estate Sale Liquidator, Appraiser. 4. 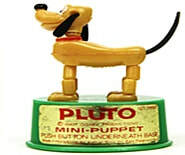 No matter where you live - there's usually always a market for collectible items too. 5. There is no seniority or job prejudice. 6. The decorative arts field can offer a fuller, richer, and often more satisfying life. 7. Good antiques usually hold their value during recessions and hard-times. ​8. A socially engaging field of work allows for close development of contacts and friends. 9. Professional Appraisal Credentials can often confer social status. In the world of the decorative arts, there is every incentive for serious effort and perseverance, for in this fascinating field lies a wealth of financial opportunities for those with the right training. In fact, few careers offer a greater degree of self-satisfaction, or greater possibilities for originality and creative work, than the decorative arts field. AIA training aims to provide the student with a thorough and comprehensive knowledge, but how far he or she forges ahead after completing the Course naturally depends upon the initiative in grasping opportunities for advancement. As evidenced by the ongoing popularity of television programs like Antiques Roadshow, and high-end sales-sites such as 1stdibs.com, it's clear that classical antiques continue to remain a favorite of not only purveyors of the finest decorative arts, but of seasoned collectors, and the general consumer as well. However, there is also tremendous interest by the public in not only traditional antiques, but also in the related collectible fields of Vintage, Mid-Century Modern, Retro and Steampunk, with many now using the freshly minted Vantique moniker as a descriptor to literally include "all" forms of collectibles. These sub-genres of periods and styles, which have often been grouped under the broader umbrella of an antiques heading in the past, are now being adopted as stand-alone styles by collectors and dealers who've taken note of the publics increasing interest for these types of decorative items. Magazines devoted exclusively to vintage and retro fill the newsstands. Front-page articles covering these subjects appear in periodicals and newspapers almost daily, and their explosive growth and popularity on Internet sites such as Etsy, has inspired people everywhere to make their homes more livable and attractive by reaching out to experts within the decorative arts community for guidance and advice. Whether it be traditional antiques, vintage or mid-century modern - everywhere you look, someone is entering into the world of antiques, collectibles and its related fields - as dealers, buyers, sellers, and appraisers. As a result of this rapid industry-wide growth, far more decorative arts experts are now being consulted than ever before. Yes, along with the growing interest in more artistic surroundings has come the recognition that the choosing and arrangement of antique & vintage furnishings within the decorative arts field calls for authoritative advice (the kind of knowledge usually acquired only through practical, specialized training). People nowadays realize more and more the absolute need of getting sound guidance from those who are thoroughly trained and qualified in the study of antiques, vintage items, and appraising. Which means that when a client wants their home furnished harmoniously with antiques, or an online collector wants more information about the best vintage items to sell on Etsy or eBay, invariably the services of a decorative arts dealer are going to be required. Real estate companies hoping to stage upscale properties in antiques, may also require the professional services of a decorative arts specialist in order to help facilitate sales. When individuals or companies want antiques, vintage items, and collectibles appraised professionally, they're going to want an appraiser who's not only qualified by experience, but one who's actually certified in the field of the decorative arts. Each year the need for these specialized skills increases in demand - as does the recognition of the importance of the decorative arts dealer in today's society. Think what a wonderful future lies ahead for those who are trained to take advantage of these unfolding opportunities. Aside from the decoration of home interiors, and written appraisals, there is an ever-increasing need for the services of decorative arts specialists in the business world as well. Those who can offer their services to stores, offices, and hotels should be able to build up a steady and profitable clientele. For example, an online article in House Beautiful recently headlined the story, Hotel Guests Go For Vintage Décor. In a related story, a survey by the upscale Sheraton Hotel chain found that people were willing to pay extra for rooms furnished in a period style. In the prestige magazine Fortune, in an article titled, The Pursuit of Antiques, such firms as Michelin, General Electric, and even many hi-tech Silicon Valley companies are now using antiques, vintage items, and mid-century modern pieces to furnish their offices. The importance of the decorative arts and antiques expert in today's world is shown too by the number of articles published in over a hundred antique & vintage themed newspapers across the U.S. and Canada (some with circulations well over 250,000). And what about the Internet? There are literally hundreds-of-thousands of online related antique and vintage sites, appraisal pages, blogs, and even marketing websites devoted solely to the decorative arts - all of whom are actively looking for experts in this field to help make their businesses grow. This is indeed a vast new market of opportunity waiting to be tapped by those with the right training that was virtually undreamed of a generation ago. When it comes to appraising, the Asheford Institute is the standard by which all other appraising curriculums are measured. Our world renowned program teaches students to be professional-level appraisers in the field of antiques, vintage, collectibles, memorabilia - and nothing else. The school's instruction is exclusively geared towards topics and fields of study that relate directly to the decorative arts. 1. The AIA is the only professional-level program specializing in the study of antiques, vintage, collectibles, and memorabilia. 2. The AIA is the only school that provides an in-house database of graduates to insurance organizations, banks, law firms and real estate companies that are looking to locate professionally qualified appraisers. 3. Our appraisers are Certified by the AIA as specialists in the field of the decorative arts - and nothing else. 4. 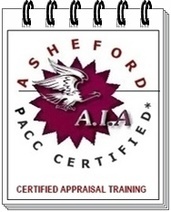 Our appraisers are backed not only by the school's Professional Appraiser Code Of Conduct training (PACC), but we also offer the optional National USPAP testing as well, to ensure that our appraisers not only meet current appraisal guidelines, but surpass them in every respect (Visit the PACC & USPAP testing page for more details). 5. Asheford appraisers are not only Certified within the United States and Canada, but their expertise and credentialing within the field of the decorative arts is also recognized throughout Europe and Asia as well. Our appraisers are backed by the Asheford Institute of Antiques seal of approval - making the prospective clients choice for an appraiser an easy one - especially when it comes to hiring an expert in the field of the decorative arts. To learn more, visit the Become An Appraiser page for further details on what Appraisal Certification can mean for your business. Certainly the happiest person is the one who achieves the fullest degree of self-expression. As a decorative arts specialist and certified appraiser, you'll have countless opportunities for interesting creative work, and satisfying creative self-expression. The creative work is indeed a joy, for it offers such real possibilities for the development of originality since each antique or vintage piece will call for its own individual treatment. You'll learn How and Where to buy antiques... from early furniture and porcelain to vintage items, mid-century modern, and so much more... And, how to get the top discounts! Instead of being tied down to routine household or business duties, instead of having ambition tied down and natural ability unused, the decorative arts expert and professional-level appraiser has the chance to gain a wonderful new interest in life, as well as the chance to show his or her potentially untapped ability in this wonderfully expressive field. Working within the decorative arts field is creative work - a source of limitless pleasure and self-satisfaction. That is why drudgery and boredom are terms rarely ever mentioned when it comes to the world of antiques and vintage items. You don't fall into a rut because of doing the same thing over-and-over again, day-after-day. In place of this, the decorative arts offers the individual something exciting, something interesting, and something new to explore. The same is true of the Asheford Program - for just as soon as you have finished one assignment, work begins on another, with new and interesting subject matters covered on virtually every page. Very few professions offer such satisfying rewards in the way of increased creative ability, financial gain, artistic appreciation, and cultural advancement as that of a respected decorative arts dealer and certified appraiser. Also, you have the wonderful privilege and pleasure of daily contact and association with people of education and refinement. Furthermore, there is the opportunity to meet the public, to build a widening circle of acquaintances, and to make new friends - whether in person, or on online. This website includes facts about the exciting opportunities for operating a decorative arts business from your own home/apartment/storefront or on the Internet - and a brief description of how we help you to start building and developing this profitable business. However, do not make a final decision upon this information only. 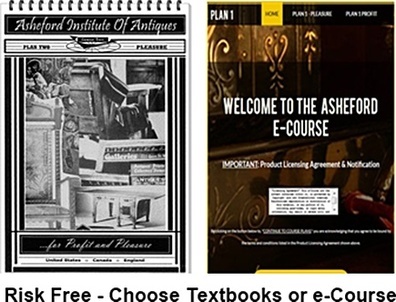 Instead, we invite you to register for the Asheford Institute of Antiques first Plan of study, to read at your leisure in your own home, along with a money back guarantee. Then, upon the basis of what you see for yourself, decide whether or not you agree with us... that this is the opportunity you have always wanted. We have complete confidence that we can help you become successful in this endeavor. "But you are the one to decide..." We offer you this privilege so that you can make your decision without risk. Should you decide to keep your Plans, you'll also get 15 Free Teaching Aids to go along with your Course studies. Indeed, the field of antiques and vintage collectibles is a profitable vocation for those with the right training and experience. The money earned in this field can easily surpass that earned in other businesses and professions by a wide margin. Why? Because the world of the decorative arts and professional-level appraising is one of the fastest growing areas of the economy anywhere. If you have any doubt, just look at the Internet, and companies like Etsy, eBay, and TIAS.com, or on television, where numerous programs showcase the popularity of antiques, collectibles, mid-century modern, vintage and retro items, and more. These are just a few examples that are indicative of the explosive growth occurring within the decorative arts community today. This rapid growth within the antiques and vintage sectors of the market, is fueling the need for capably trained men and women in this extremely interesting and developing profession - whether in recession or booming times - decorative arts experts are almost always in demand. You might find your place with a retail antique store, or perhaps as a consultant at a big auction house, or maybe on the Internet with your own online business, or perhaps even as a self-employed estate appraiser contracting for major insurance companies, or even working for an estate sale liquidator - these are just some of the possibilities you'll be able to choose from when you enroll in the Asheford Program. In a recent article in Time Magazine, titled U.S. Craze For Things Past, it estimates that conservatively, over twenty billion a year is now being spent worldwide on antiques, and that while fifty years ago there was only one yearly antique show, today there are over 25,000 antique and vintage shows taking place across the world. So, if you are one of the thousands who have been working long and hard, doing your best, and are still not satisfied with your present position; and, if you feel you have undeveloped talents and artistic expression just waiting to be released, then it would be wise for you to give some serious thought to the prospect of embarking on this potentially wonderful career in the decorative arts. Yes, to those interested in this work, to those who are trained and experienced, the decorative arts and appraising can offer a shining future. 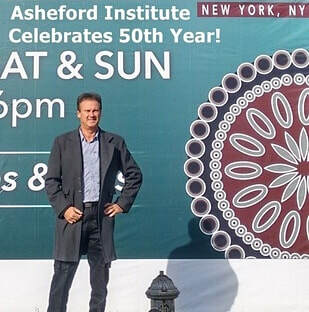 If you are ambitious to improve your earning ability and eager to get ahead in this fascinating field; if your mind is alive to the beauty of the past; and if you will do your part, the Asheford Institute can help make the dream of a new life and profession come true... With our help, you will reach your goals! If, as you so often hear, "opportunity knocks only once," you should also remember that when it does make its appearance only those who are qualified can hope to grasp it. The individual who does not have thorough and extensive training, is in most cases, given but small consideration when applying for a commercial position with an antiques or appraising related business. Nowadays, sound, practical and theoretical training, such as the Asheford Program now offers you, is indeed a must for success. Examine the first set of the Asheford Study Plans in the privacy of your home. If within 5 days after registering, you decide for any reason that you do not wish to continue, let us know, and we'll issue you a complete refund with no questions asked... We Guarantee It! Are Decorative Arts Experts Born Or Made? There is a saying that all of us are born equal. This is true to the degree that in every person there are usually inherent qualities necessary for advancement - undeveloped ability along one field or another. In certain cases that ability may exist only in a sleeping state, awaiting development, ready to be woken up. History shows us that the qualities needed for success in a certain field are often developed. Some of the strongest men in the world were born weak. Some of our greatest thinkers and writers were labeled illiterate in their youth. Some of our leading artists were called failures at first. It is a fact, of course, that some in the field of the decorative arts enjoy a greater success than others, but this is not necessarily because they were born better equipped for their vocation. Very often this is because, with patience and hard work, they have developed their talents to a greater degree of proficiency, which has brought them the richer rewards. It is quite probable that most antique and vintage enthusiasts had in the beginning no special inclination toward their chosen fields, or had shown no particular fitness for this work, except an overall love for the decorative arts. However, they evidently believed that no one has a predetermined capacity for success. Each one felt, undoubtedly that they had some latent or hidden talent which could be developed. So they took up their training with a seriousness of purpose, a desire to learn, and a determination to achieve their goals. Today, you'll find many of these graduates from the Institute working as top appraisers on television, working as museum curators, as valuation experts for large auction houses, or as syndicated writers and columnists for antique publications from around the world. Through a steady life-time application in mastering a thorough knowledge of the decorative arts and appraisal theory, many of these experts have managed to develop into highly successful individuals with international reputations. How long have you been interested in antiques? Do beautiful vintage and collectible items thrill and delight you? Do you take pride in making your home more aesthetically attractive? If you answered yes to any of these questions you are probably creatively inclined towards beautiful objects from the past, which might also indicate that you have a flair for the decorative arts, and that you might potentially find happiness, and quite possibly financial reward in this profession. However, recognizing this desire, is simply not enough... to unlock these creative abilities, you need training! 4. HOW IT’S YOUR FUTURE, YOUR TALENT, YOUR TIME, YOUR DECISION - SO DON’T WASTE IT AND WAIT ANY LONGER... ACT NOW AND ENROLL TODAY! Perhaps your finances, as is the case with some of our students, may be limited, and you may wish to start earning some money before you graduate. If so, you will be glad to know that you will have the encouragement and complete co-operation of your instructor. The Institute always feels that any buying, selling, and restoring a student may do, is exceedingly helpful - providing excellent training from step one. In this way, the student puts into practical use what has been learned, and valuable experience is thereby gained. This kind of work may also be the beginning of the development of an ongoing community clientele, and the foundation of an antiques & vintage business right at home. The AIA is proud of the simplicity and clarity of its step-by-step training. Every approach to the decorative arts industry has been examined, and clearly illustrated in each of the lesson Plans. Whether you choose Textbooks or the e-Course, our study Plans have been designed with ease-of-use and simplicity in mind - nothing is confusing or difficult to understand - even for the beginner. If you can read an email - you'll be able to navigate around our e-Course with ease. The Course materials not only cover the fundamentals and history of antiques, collectibles, and vintage items in a very thorough manner, but also include complete instructions for operating and managing your own antiques & vintage business. The Profit Plans deal with such important subjects as selecting the proper location, organizing a business, buying, selling from a shop or on the Internet, advertising, licenses, the appearance of the business space, formulating policies, and many other matters essential to the successful owning and operation of a decorative arts business. The process of becoming an antiques and vintage dealer, and the required steps necessary before opening your business for the first time are also covered in-depth. What is meant by the various aspects of the decorative arts with which you must be familiar? 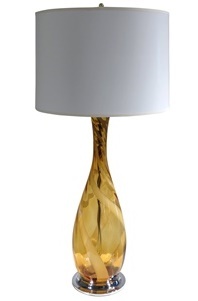 You must be familiar with glass, china and pottery, with brass, silver, pewter, copper. You must know antique furniture, English, Early American, Early Canadian, Victorian, Asian, Mid-Century Modern, and a host of Vintage and collectible items from the 20th century. You must also know something of furniture restoration and decorating with antiques and collectibles. These are just a few of the topics you'll need to become familiar with. For a more detailed listing of what is covered in the Asheford curriculum click here to visit the Condensed Course Outline Page. All this is not nearly as involved as it may first sound, for it can be easily accomplished with the proper training and study. While a flair and a love of the decorative arts is important, this alone will not bring success without trained skill and technical knowledge. It you are not well trained, you cannot express your ideas in a manner that produces satisfactory results. That is why our thorough and extensive training should mean so much to you - and why it should pay you dividends far beyond the modest amount invested. Do not forget too, that the training needed to secure skills in the field of the decorative arts is not nearly so difficult to acquire, nor does it take so long to obtain, as that required for a lot of other professions. In painting or music, for example, many years of hard training are necessary. Doctors, lawyers, engineers, or other professionals spend a great amount of time and money on academic instruction before they are equipped and permitted to gain professional status. big profits - online & off. 2. Care of antiques and collectibles. antiques - as well as fakes. antiques to and from Europe. The Research Service is another valuable feature of our decorative arts program. All unlikely problems that you might have in connection with your studies are referred to your qualified instructor. However, should you have additional questions, about items you may own, you can send them directly to our Research Department for free analysis and evaluation - this is truly a great asset for any student! You are always welcome to write or call us about your lessons; your emails and calls will be answered courteously and promptly. Every correspondence you send the Institute regarding your Study Plans - every question you ask concerning your training - every request you make, is handled in a direct and personal way. If there is anything in your Study Plans you do not understand, it need cause you no concern - contact us at once, and we'll explain it in concise and unambiguous terms, so that you'll have the point clearly in mind, and may proceed with your training without interruption. The Research Service is a unique and valuable component of your Course Plans. Should you have any items that you'd like to have Researched, simply send us your photos, and our Research Staff will immediately start searching for the answers to your questions. This feature of the Asheford Program is extremely beneficial should you need to turn to the Institute for advice and information, whenever you may need it, not only while you are a student, but also after graduating. Along with your enrollment in the Institute, you will also receive a Membership Card. This card will certify that you are a "member" of the Asheford Institute of Antiques, and entitled to all the privileges of our training. You may also use this Membership Card upon graduation, to show people the concrete steps you have taken to acquire a comprehensive and thorough knowledge in the field of the decorative arts and professional-level appraising. In addition to this, the Membership Card can also be used for any dealer-to-dealer discounts you might be entitled to as a result of your membership with the AIA (*e-Course students will receive their Membership Card along with their Diploma). Once your training program has been successfully completed with the Institute, students are awarded a handsome diploma of recognition and statement of certification (similar to the example on the right). However, this diploma and the prestige and benefits that accompany it, can only be secured in one way - through the successful completion of the Asheford Institute of Antiques decorative arts program. Yes, the graduate has every reason to be proud of this diploma - especially proud of what it signifies - for it not only demonstrates the desire to advance one's position in life through enrollment in a comprehensive decorative arts program covering antiques, vintage, collectibles and appraising, but it also offers concrete proof that the student had the aptitude and perseverance to follow their studies through to a successful completion. This fact alone makes it a worthy testimonial to the bettering of one's life. Thus, If you are creatively inclined and possess a love of the beautiful, and are quite sure that you have an interest in the decorative arts, then decide today that this diploma will be yours. Make up your mind to take advantage of this splendid opportunity which can lead to a successful and fulfilling career within the world of the decorative arts. Start your training now, and begin at once to position yourself for a better place in life. The sooner you begin your training, the sooner you'll be qualified to reach your goals. As the need for decorative arts experts and professional-level appraisers continues to grow, it should leave no doubt in your mind that the time to enroll in this wonderful profession is now! Thank you for taking the time to read through our online Course Prospectus. The educational Plans of the Asheford Institute of Antiques will cover everything you need to know about succeeding in the field of the decorative arts and appraising. All through your Plans you will receive sincere, thoughtful and individual attention. This is Our Responsibility To You. Neither time, effort, nor expense has been spared in creating this comprehensive plan of study. It is a highly respected distance-learning program that deals with the fundamental principles of the decorative arts as they relate to the study of antiques, vintage items, collectibles, memorabilia, and professional-level appraising. We can teach and guide you, but we cannot make you study. This self-discipline must come from you. The lessons are comprehensive, authoritative, practical and simple to use. The many pictures, images, drawings, videos, interactive media, links, and other valuable aids help to make every step clear and easy to understand. If you have the necessary interest, then the Asheford Institute welcomes you. We proudly stand behind our training in every way. If you would like to learn more about enrolling in the Asheford Program, including Course Tuition Fees, and Payment Option Plans, please click on the link to the left (you are under no obligation whatsoever). 1. Send us your name and MAILING address using the email FORM below.